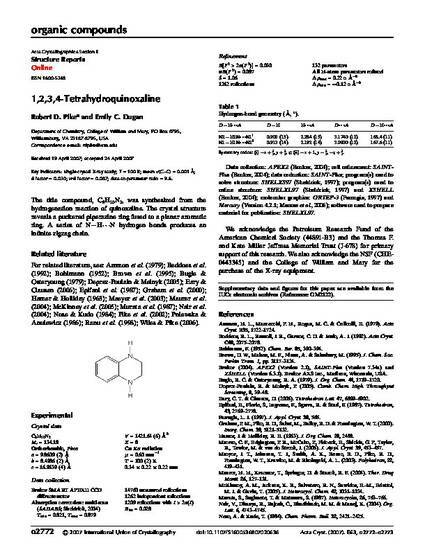 The title compound, C8H10N2, was synthesized from the hydrogenation reaction of quinoxaline. The crystal structure reveals a puckered piperazine ring fused to a planar aromatic ring. A series of N—H...N hydrogen bonds produces an infinite zigzag chain.